SNAFU! 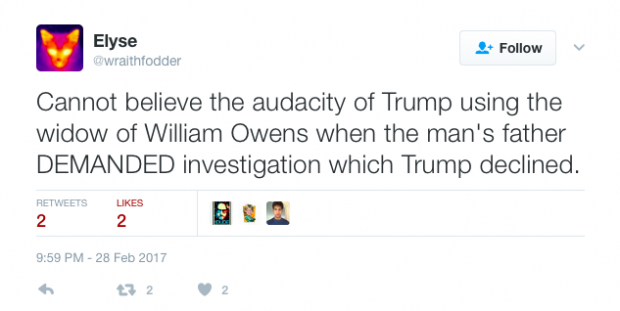 : Attacking the wife of a slain service member? A line has been crossed. 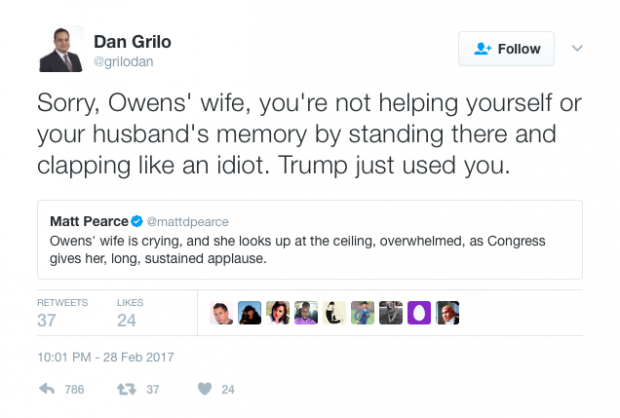 Attacking the wife of a slain service member? A line has been crossed. I watched MSNBC to see the liberal reaction to the Trump speech and it was as expected. Non stop criticism. Ok. I can live with that. They have a different point of view. What shocked me was the attacks on the widow of the slain Navy SEAL. I held fire and didn't blog about his father going off on Trump. The guy was grieving and it's his right. Now fast forward to Trump's speech. Liberals were foaming at the mouth. Not only did they take aim at Trump but they took aim at her. To hear liberal commentators spew such unmitigated hatred toward this grieving wife is beyond my comprehension. But forget my contempt for their behavior. What I'd like to know is how we fix this so it doesn't happen again.